FeedBACK Casino is a guide to online and land-based casinos that provides support when you want to gamble. 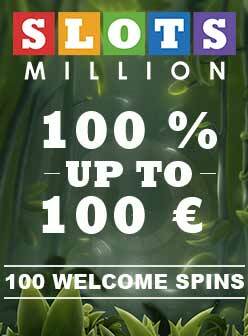 We mostly offer reviews for the nicest land-based casinos and the best online casinos. FeedBACK Casino is not a gambling operator, our mission is to provide relevant and important information about the world of gambling and unbiased casino reviews. You can find out more about the history of FeedBACK Casino on this page, and you can also meet the members of our team. Before you register with an online casino or visit a land-based casino, we remind you that it is important that you know the governing laws for gambling of the country you are a resident of. You will also have to be of legal age in order to be allowed gamble. FeedBACK Casino offers this privacy statement to present their commitments regarding the collection and dissemination of personal information. If you have any questions about it, you can contact through the contact form and request more information. FeedBACK Casino is committed not to sell, lease, barter or lend any personal information that is collected on the website, or through the registration form. To improve the content of the website FeedBACK Casino analyses their usage logs. These are not personally identifiable, and we also do not attempt to link them to any specific user who visits the website. FeedBACK Casino may run advertisements using an internal program that respects the confidentiality rules set out in this webpage.